Published by: Kensington Publishing Corp. Her passion is her greatest weakness. His legacy is his prison. To reunite, both must fight the demons within. A world of deception and danger separates Annie Fremont from her mother—and from Chase, the enigmatic groundskeeper with whom Annie’s fallen in love. But she vows to find her way back to them, before Chase succumbs to the madness that threatens his freedom. The only person who can help is the magical seductress, Lotli, a beautiful, manipulative woman . . . a woman who has disappeared. Annie must stay strong, even as the future she imagined is slipping away. With the help of family and friends, she discovers that Lotli is being held against her will, by those who want to exploit her powers. But though weakened, Lotli remains a powerful ally and adversary. A bargain is struck. And now Annie’s only chance to rescue Chase could also tear them apart . . . Loyalties will be tested, walls will be breached, and enemies will be fought, yet Annie’s greatest battle lies within her own heart—to trust her love for Chase to overcome its greatest enemy, and to save those she holds most dear from the terrifying realm of the djinn. For all of their lives depend on it. We journey. Ceaseless and hungry. The campsite was ominously silent. Then a breeze lifted and my ear caught the faint clank and rattle of the bones and knives hanging in the pine trees behind us. “You don’t think they’re both dead, do you?” Selena whispered. I scanned the dilapidated camper ahead of us, a do-it-yourself RV created out of an old bread truck. Despite the midafternoon warmth, the doors were shut tight. The tent behind it, barely visible from our angle, bowed under the weight of rain that had pooled in its canopy. There was no campfire smoke. No trampled grass. In comparison to when we’d come here last week, the place looked deserted. My jaw clenched. Yeah, that was exactly what I meant. I understood why my cousin didn’t like that everything we’d discovered pointed to her boyfriend, Newt, being involved in Lotli’s disappearance, and perhaps Zea’s as well. But I thought we’d gotten past that, like a bunch of times already. “Would you rather discover one in a closed-up camper?” I snapped. It was lucky we’d driven into the campsite from the main road instead of walking like we’d done the last time. I’d assumed the Professor had an adventuresome spirit to go with his young Indiana Jones good looks. Especially since he was an archaeologist, though this summer he was tutoring Selena’s eleven-year-old brother as a favor. Still, and despite how eager he’d seemed to come with us, the Professor had freaked the second we started past the creepy stuff Zea and Lotli hung in the trees to scare people off: the knives and bones, pieces of copper pipe, broken mirrors, and doll parts. Frankly, I was surprised he’d even gotten out of the Land Rover at all. As he headed for the tent, I tramped toward the camper with Selena close behind. If only Chase were here now. The creepy stuff hadn’t bothered him at all, and the fear of Zea being dead would have only driven him forward faster. My chest tightened, my longing for Chase aching inside me, raw and unrelenting. If it weren’t for me, he would be here now. Instead, both he and my mother were trapped in the djinn realm, prisoners of his father, Malphic. If it weren’t for me, Lotli wouldn’t be missing either. I raised my hand and knocked. One second passed. Two seconds. I rapped harder. Nothing. I tried the doorknob. It turned beneath my grip. I opened the door a crack, hesitated, and took a deep breath before pushing it open all the way. A wave of hot, musty air rushed past me as if the camper had been closed up for days. “Hello?” I said, sticking my head inside. I gave the air a cautious sniff. No dangerous odors, like a leaky gas stove, permeated the air. No rotting-trash smell—or decomp. I swallowed hard and stepped forward. The place was cramped, a gypsy wagon on steroids. Tassels and prisms curtained the windows, letting only faint streaks of light inside. Miles of fuchsia and turquoise fabric draped the ceiling and walls. Animal skulls, feathers, and nubby candles clustered inside miniature altars. The fridge, table, and chairs, every surface that wasn’t fabric covered, was painted purple or black. Stars decorated the ceiling. An antique bed piled with crimson quilts and an avalanche of pillows took up the camper’s entire backend. It was cozy enough, I supposed. But I couldn’t begin to imagine what life had been like for Lotli, apprenticed to Zea as a child because of her magic abilities, essentially indentured. Not that I thought a devout shaman like Zea would have been cruel to her. It was just so different from anything I’d experienced. I minced my way deeper into the cramped space, working my way toward the back of the camper. Cold sweat carved a trail down my spine. I crept past a tiny kitchen and dining nook, then the bathroom—one toothbrush in the holder, a washcloth draped over the edge of a yellowed sink. Something brushed the back of my neck. I yelped and jumped sideways, whipping around to see what it was and smacking my elbow against the wall. Pain zinged up my arm. I glared at Selena, standing barely an inch behind me. “I didn’t think you were that close.” It wouldn’t have hurt half as bad, except I was already sore and bruised from being thrown out of the djinn realm earlier in the day. I closed my eyes, struggling to regain my composure. We couldn’t afford to waste time discussing the same thing over and over again, any more than I could have afforded the luxury of staying home to nurse my aches and pains. Chase and Mother were in danger. And I couldn’t go back to the realm and rescue them until we found Lotli. Without her and her flute-magic, it would be too risky, perhaps even impossible to enter or escape from the realm. Glancing around, I spotted a scruffy hairbrush. You couldn’t get much more personal than that. I grabbed it and brandished it toward Selena. She turned her back on me, her voice bordering on hysteria. “I don’t know why I bothered coming. You’re so, so . . . You always have to be right—” Her voice died and she slowly faced me. Angry red blotches mottled her face. But tears rimmed her eyes. My anger drained. She didn’t look pissed. She was trembling like she was about to fall apart. Earlier today, when we’d first heard about the lies Newt and his family had been telling, I’d seen something in Selena’s eyes, something beneath her disbelief. “What is it? Tell me,” I asked gently. She shoved my hand away. “No, you don’t get it. I know he loves me. Like forever.” Her eyes pleaded for me to understand what she couldn’t bring herself to say. “I kind of—I put a . . .” Her voice faded and she looked down at the floor. “A spell?” A month ago, the idea of witchcraft being involved would never have occurred to me. Now it seemed more than likely. “You can’t tell anyone. Mom, Dad, Grandfather—they’d kill me.” She curled her arms over her head, her shoulders shaking as she crumpled down against the wall. 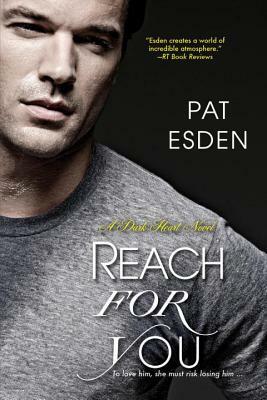 PAT ESDEN would love to say she spent her childhood in intellectual pursuits. The truth is she was fonder of exploring abandoned houses and old cemeteries. When not out on her own adventures, she can be found in her northern Vermont home writing stories about brave, smart women and the men who capture their hearts. An antique-dealing florist by trade, she’s also a member of Science Fiction & Fantasy Writers of America, Romance Writers of America, and the League of Vermont Writers. 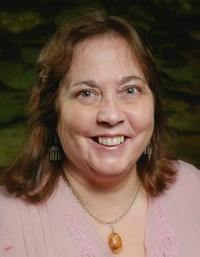 Her short stories have appeared in a number of publications, including Orson Scott Card’s Intergalactic Medicine Show, the Mythopoeic Society’s Mythic Circle literary magazine, and George H. Scither’s anthology Cat Tales. Thank you for hosting Reach for You's release day blitz. I truly appreciate it!